Fairway GPO is a Group Purchasing Organization (GPO) serving recreation facilities and stadiums nationwide. 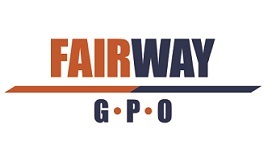 As a co-GPO with Essensa, one of the leading GPO’s in the country, Fairway uses the total purchasing volume of all our members to negotiate discounts with manufacturers, suppliers, and service providers that your organization currently utilizes. As a Fairway member, you can save money by using the contracts or discounts available from these vendors through our GPO. Our volume discounts allow you to purchase the same supplies from the same vendors you buy from now—only at a lower cost. With a broad portfolio including over 2,000 contracts from thousands of suppliers and with a purchasing volume of $45 billion, you’ll be sure to cover all aspects of your business needs to improve your operating margin. Fairway is committed to conducting its business with the highest degree of integrity and complete transparency.